Academic Decathlon members focus on their essays. The school year is just beginning, so one club worth noting is the Academic Decathlon. “Aca-Deca” takes part in competitions with other schools to test their knowledge of a certain topic, differing from the year before. This year, the topic is the decade of the 1960s and it will be the basis for students to learn about seven different topics, ranging from music to art to literature. 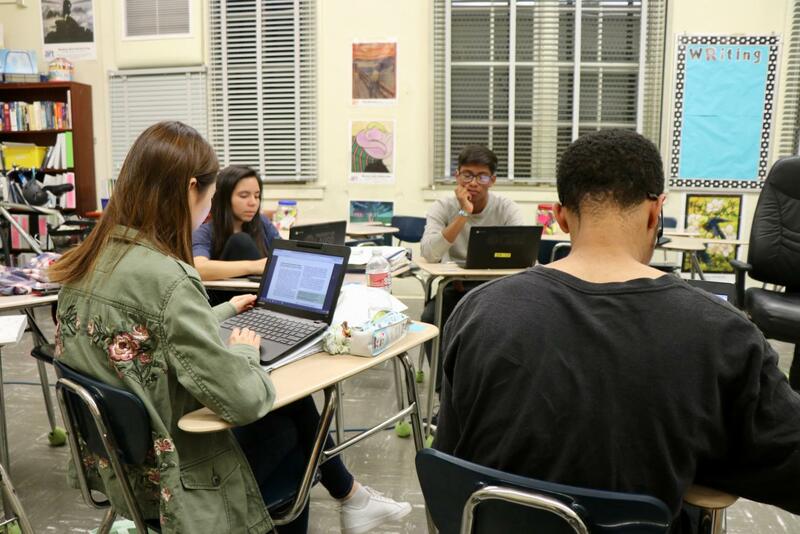 These competitions, both held in the spring semester, have previously reached a scale of 65 participating schools in LAUSD. The club, which students can take for credit as a 7th period, meets Mondays, Wednesdays, and Fridays after school in room 108. Aca-Deca is hosted by Ms. Jennifer Lisowski and run by senior co-presidents Natalie Bonilla and Zenon Soriano. Joining the club requires an application, but co-president Soriano attests the club has “plenty of room” for new members. The club is looking for members who are determined to work hard, like to learn, and can operate in a team. Class of 2020 discusses goals for the year. The Class of 2020 is a club that helps raise money and support current juniors for their prom and graduation. Any junior is welcome to join. The club meets every Friday during nutrition in Mr. Vicente’s room 204. School can be aggravating at times. Luckily there are options for students to relieve stress. Club Oakgrove is a great opportunity to meet students from all different grades and to create a better understanding of one another. Not only are students privileged to have such an inspiring group of leaders in the club, but they can also attend a retreat at different campsites every semester on the weekend. Remember Club Oakgrove is open for anyone. Don’t miss it. Different discussions are brought to the table every Tuesday at lunch time in Ms. Kight-Witham’s Room 137. Want to build a computer? How about a million-dollar app? You could even make a drone. If you can dream it up, Mr. Brent Rojo can help you build it in the Computer Club. The club, which meets in Room 251, accepts anyone interested in learning about computers. 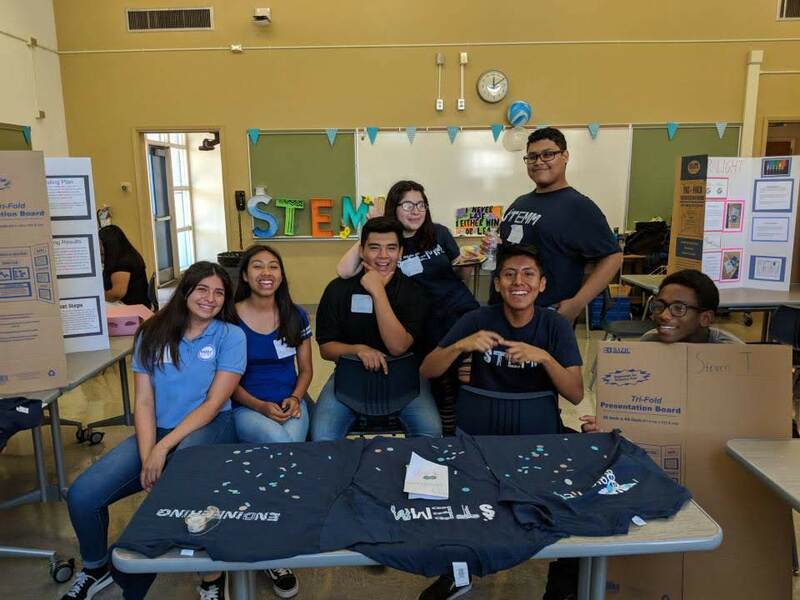 “I’m very excited to see that students are very interested to learn more about coding and computer hardware,” said Mr. Rojo, a club sponsor. Rojo and co-sponsor, Mr. Stanley Johnson, hope to make teams for those with specific interests including coding and app development. Those interested in joining the club should see Mr. Johnson in Shop 2, or Mr. Rojo in room 251. They meet every Monday during lunch. Their first meeting is on Oct. 8. Some are born feminists, some acquire the ideals throughout their parents, and some have no idea what the name means. Luckily, a Feminism Club is restarting at Venice High School. Throughout the year, this club will strive to educate the student body and teachers on the topic. They will be debunking myths on feminism, elaborate the meaning, and make people feel welcome. If you are interested in joining Feminism Club, you can find yourself in Ms. Keli Arslancan’s room (138) at lunch on Mondays. Everyone is welcome. There is no discrimination against genders, races, or any such thing. This club is kick starting for the first time this year because of club presidents, Nev Campos and Evan Holter, so get your activism on and join the movement! Have you ever had an idea for a movie and wanted it to be seen by hundreds on the big screen? The Film Club could make it happen. The Film Club meets every Tuesday during lunch with Ms. Ruth Greene in Room 12. The members of the Film Club screen movies and create their own films. The Film Club’s goal is to submit their own movies to the Los Angeles Unified School District Film Festival. So if you’ve ever wanted to be in or make a movie that can be seen by a lot of people, the Film Club would definitely be a good choice for you. The Gay Straight Alliance, commonly known as GSA, is a club located in Room 204 where Mr. Cristobal Vicente provides a friendly environment for members of the LGBTQ community and others who would like to support. In order to promote a friendly setting, the only requirements to join the club are to have a positive attitude. The typical meeting at GSA includes lessons about the LGBTQ culture. The room is considered a safe space for interactions between members of the community. One of the goals of the GSA club is to donate clothing monthly to a LGBTQ youth teen center in West Hollywood. GSA is a club where students will meet new friends and make a real impact on the world. It meets Tuesdays at lunch. Heal the Bay leaders begin the year’s first meeting. 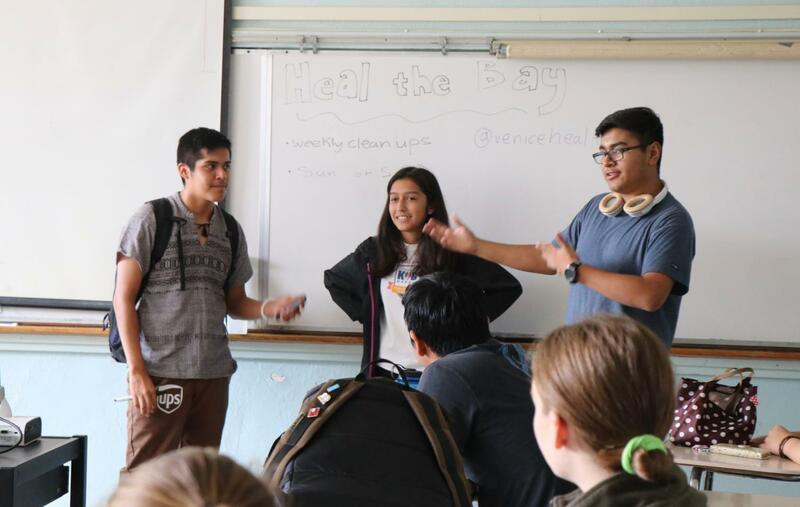 Heal the Bay is a club at Venice High School that is very passionate about trying to better the environment. 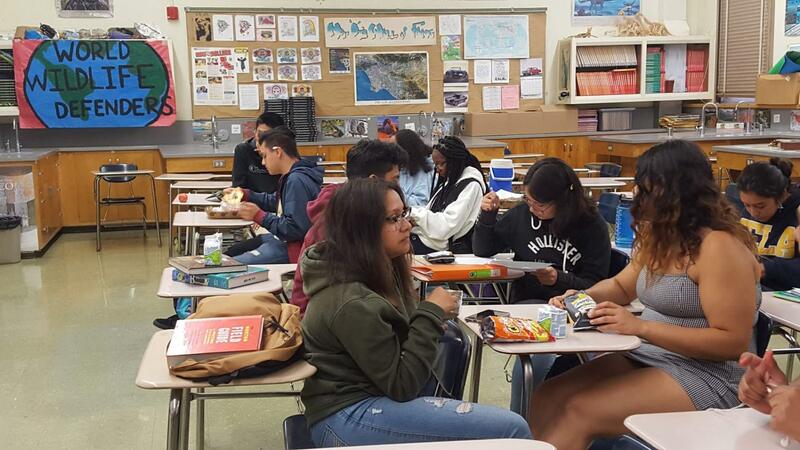 Heal the Bay meets in Room 130 during nutrition on Thursdays. During the meetings, the president discusses when the beach clean-ups will take place. The clean-ups usually last four hours and they take place weekly at Venice Beach. Each member is provided with a bucket, a pair of gloves and a few snacks when they participate. The long-term goal of this club is to increase membership and help make an impact on the environment. If you would like to be a part of the Heal the Bay club, it is open to everyone who is interested. 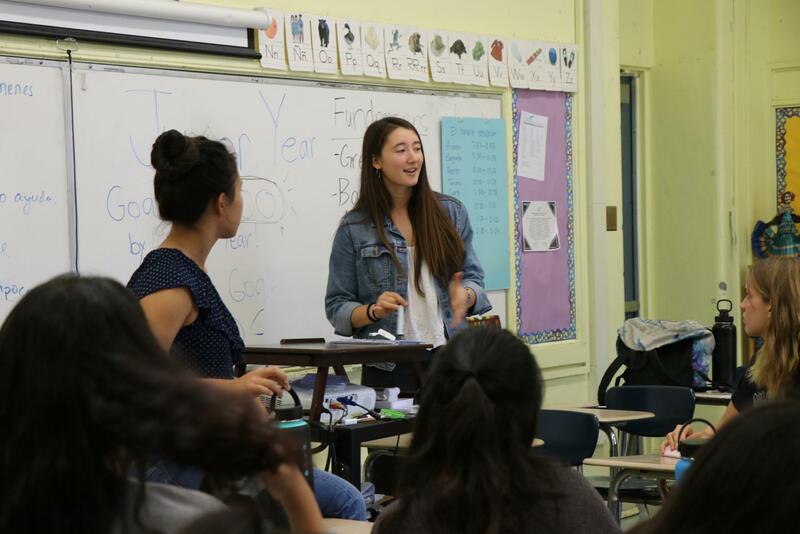 Japanese club promotes Japanese culture and language to the students and community of Venice High School. They have been around since the 1990s and have been sponsored by Ms. Hiroko Nomachi, who is the current Japanese teacher. Japanese Club meets every Tuesday at lunch in Room 107, where they plan cultural events. They are a student-run club, meaning all events are organized and executed by students. “Japanese Club members enjoy each others company while learning about Japanese culture in a safe environment,” said Ms. Nomachi. When they aren’t planning any events, they watch videos to further their knowledge of Japanese culture to spread to others. These videos include, but aren’t limited to, travel videos and cooking videos. Japanese Club also has a snack day where once a month, members bring in Japanese snacks to share with friends. JK Living members warm up for their exercise. Just Keep Livin’ is an after school program on campus that is dedicated to helping high school students get active and stay healthy. 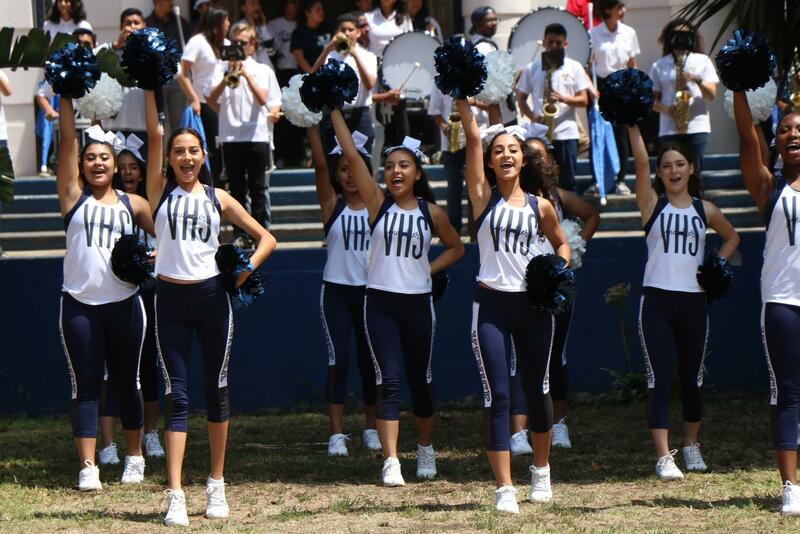 This is its ninth year at Venice High School and it is continuing to grow. The organizers’ goal for the students is to have an opportunity to take part in their after school program; to engage in physical activity while learning about the importance of healthy choices as they are growing up. The sponsors for Just Keep Livin’ are Ms. Cabebe and Mr. Cameron David. The club usually met at the Fitness Center by the East Gym. 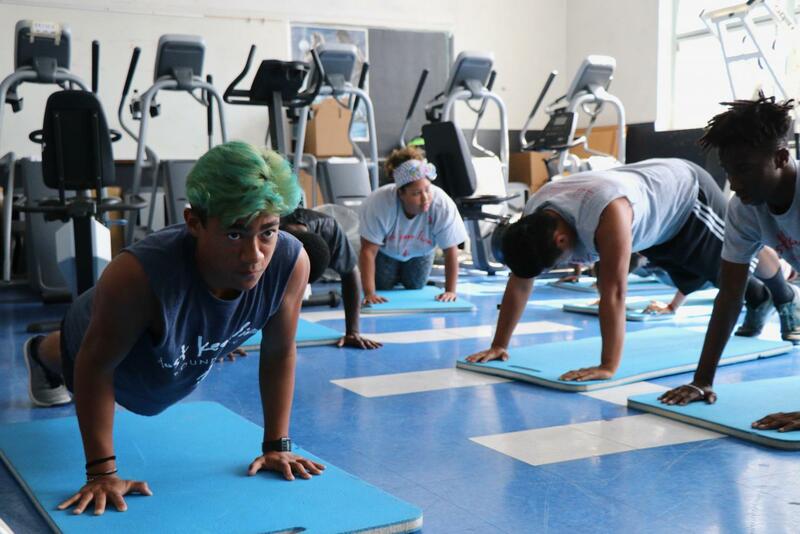 But currently since the school is under construction all around, they have moved to the Fitness Center in the West Gym where they have moved all the equipment. You have to come in with work out clothes and motivation, said Ms. Cabebe. The club meets every Monday and Wednesday from 3:15 to 5:15 p.m.. If you would like to join, feel free to come to the fitness center in the West Gym and pick up an application. If you’re someone who is passionate about their beliefs and loves to argue and defend their viewpoint, then Junior State of America is the club for you. JSA is a debate-centered club and political youth organization that comes up with a new political topic every week to talk about. There are also more light-hearted topics like “Should pineapple belong on pizza?” and “Should ‘Bodak Yellow’ by Cardi B become the national anthem?”. Members are able to attend 2-day long conventions three times a year to meet and mingle with people from other schools who share the same views and join smaller political parties within the organization. 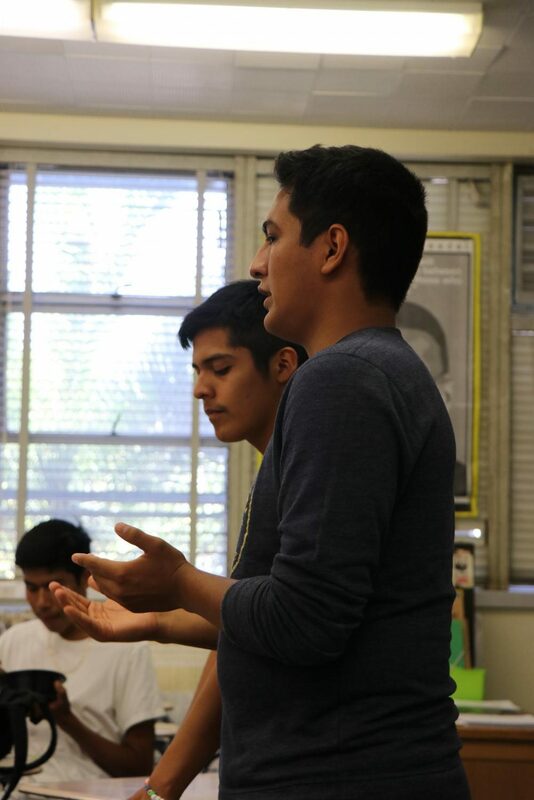 “In JSA, you have an opportunity to express yourself and your opinion, which can be rare for some people. You can also stay updated on current political events,” said senior member Aidan Yoo. JSA meets every Thursday at lunch, in Bungalow 52. People of all political affiliations are welcome and encouraged to join. There is a $5 fee to join the organization, but it is loosely enforced. Leadership Club organizes first pep rally. Leadership is one of the most important organizations on campus. The class meets during 5th period in room 131 . This year’s sponsor is Ms. Angela Fajardo and co-sponsor Ms. Sophie Sabbah. Most students decide to join leadership to be more involved in the activities at school. Leadership is in charge of most school activities such as pep rallies and homecoming and organizing the blood drive. Library Club members read and discuss books while doing homework. Do you like books and hanging out with friends? The Library Club is the place for you. This club is sponsored by Mr. John Weinberg, the new librarian. The meetings take place in the back room of the library officially every Monday at lunch but for right now it’s every day at lunch and nutrition. 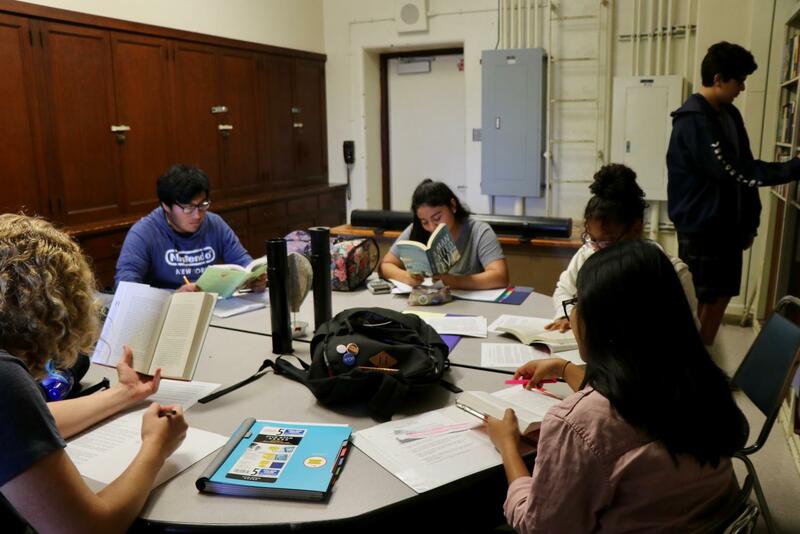 “The library club is a good place to get away from the noise and just relax and talk about books,” said the president of Library Club, Kyle Work. The Library Club is a place where the members talk about books, history, relax, and just get away from noises. MEChA’s co-presidents talk about MEChA’s history in their first club meeting of the year. It’s common for some students to feel like their identity isn’t respected at school. For those of a Chicanx ethnicity, M.E.Ch.A. (Movimento Estudantil Chicanx de Aztlan) is an outlet for students to be a part of, celebrate, and raise awareness about the Chicanx culture. Previously, the club had been a driving force in arranging the Cinco de Mayo and Day of the Dead celebrations on campus. The club also allows students to talk in an inclusive environment about recent issues and their impact on Latinx people. Seniors Axel Hernandez and Ulises Peralta act as the club’s co-presidents. Hernandez made it clear that M.E.Ch.A. was a place for all students who support the Chicanx identity and want to find those of a similar cultural heritage. Still, the club is open to people of all races. M.E.Ch.A. meets in Mrs. Keli Arslancan’s room, 138 in Cunningham Hall, Thursdays at lunch. Period, a Venice club, is associated with PERIOD The Menstrual Movement, a nationwide nonprofit raising money for feminine hygiene products for women in need. The main goal of the club is to raise money for feminine hygiene products for homeless women. The club sells food at a local farmers market and fundraises on campus to be able to make period packages. With all the money they have raised over the past year, they have delivered over 150 packages to two different local homeless shelters. They also raise awareness of feminine product availability in refugee camps around the world as well as eliminating the taboo around periods. “I enjoy working with such a motivated group of young advocates for women,” said Ms. Carolyn Willcox. Ms. Willcox also offers pads and tampons free of charge for any girls on campus that is in need of one. The club meets in Room 222 every Thursday during lunch starting Aug. 30. The PhotoVoice after school program is on the rise as the artists and its members plan for another successful year. In the past, the program was a big hit for many of the members as they got to explore the world of photography. The club is held every Tuesday after school in Ms. Ruth Greene’s room, Room 12. The program will begin Oct. 2. “People look forward to being a part of it again,” said Ms. Greene. As students interact with their peers and mentors from UCLA, they get to share their voice and have fun doing it through the their photos. “They can express their creativity and get into more of the social and emotional learning,” said Ms. Greene. The UCLA program will provide the digital cameras and media tools for the students, so there are no limits to what the club and its members can achieve. If you’re interested in taking photos and having fun through the use of a camera, on Oct. 2, head to Ms. Greene in Room. 12 after school for the first club meeting. Snacks and supplies will be provided. P.O.P.S., Pain Of the Prison System, is a club where students are able to talk and write about how incarceration has impacted their lives. Members have friends or relatives that have been incarcerated and sometimes even they themselves have been incarcerated. The club was started at Venice by former English teacher Dennis Danziger several years ago and it has now become a national movement. However, Mr. Drake Witham has been the sponsor of the club for the last two years. P.O.P.S. meets on Wednesdays in Room 137 at lunch. Students attend these meetings to not only eat the food that’s provided but to express themselves through writing and meet with guest speakers. Guest speakers include authors, directors, students and ex-inmates. Students are able to write their own stories which are eventually published into a book. A new book is published every year with different stories, writers and art. If you are interested in Spanish culture and language, this is the perfect club for you! Spanish Club is sponsored by Ms. Luisa Leon, a Spanish teacher here at Venice High. Its purpose is to inspire students and promote the Hispanic culture through fun activities, field trips, traditions and food. No knowledge of Spanish is needed to join! It is also a great opportunity to meet new people and make friends, and learn Spanish as well. These are some of the activities done in the past years: dancing, Cinco De Mayo celebration, Dia de los Muertos, sugar skull making, piñatas, Spanish crafts and more. Come to Room 133 and join every Friday during lunch! STEMM Council poses as they set up for their first meeting of the year. Calling all STEMM Academy students! Join your peers from the STEMM Council Club who meet every Friday at lunch in Room 143, located at the Far West Building. At every meeting, sponsor Mr. Rojo, President Geovanna Ordonez, and Vice President Elvin Canseco invite students to a welcoming space to enjoy time with friends. Aside from being a great social club, the club is entering the new school year with many ambitious goals. The students are also hard at work to fundraise for costly equipment, such as technology for the Engineering branch of the magnet and lab equipment for the Biomedicine branch. They have also met with incoming freshman at orientation to talk about the STEMM Academy and plan to host multiple fundraisers throughout the year. An impressive project produced by the club has been its merchandise. “We have windbreakers for $40 and t-shirts for $8, with the Biomed logo or engineering logo on the back,” said Ordonez. The merchandise was student-designed and -made. Currently, the STEMM Council Club is mostly attended by seniors. “We would like to have more sophomores and juniors for us to pass the torch to,” said Ordonez. Diversity and participation are going to be essential to a thriving academy, she said. You can follow the STEMM Academy on Instagram @vhs.stemm. World WIldlife Defenders Club about to vote for their club president. Are you someone who cares about the environment and all of its creatures? If so, join the World Wildlife Defenders Club (WWD) that meets every Wednesday at lunch in Room 246 in the Far West Building. WWD has been on campus since 2003, said club sponsor Mr. Jess Rabinowitz. Its focus is to educate people about past and current environmental issues and their impacts on nature. The club is also proactive in preventing and changing environmental problems. The club participates in the adoption of endangered species and takes field trips to locations such as the Aquarium of the Pacific. All these ambitions are supported by the fundraisers they do throughout the year, such as Grease Night and Back to School Night. They also make an appearance at Club Expo and Homecoming Night. Elections for a new cabinet were held on Wednesday, Aug. 29. Only juniors and seniors were allowed to be nominated, and they had to present a speech on why they should be an officer. Should parents be allowed to pierce their babies' ears?